Traveling to Napa Valley doesn’t mean you have to leave your four-legged companion behind. There are so many amazing hotels that allow, and even encourage, guests with pets. The next time you plan to travel to the area, consider a stay at one of these dog friendly hotels in Napa Valley. 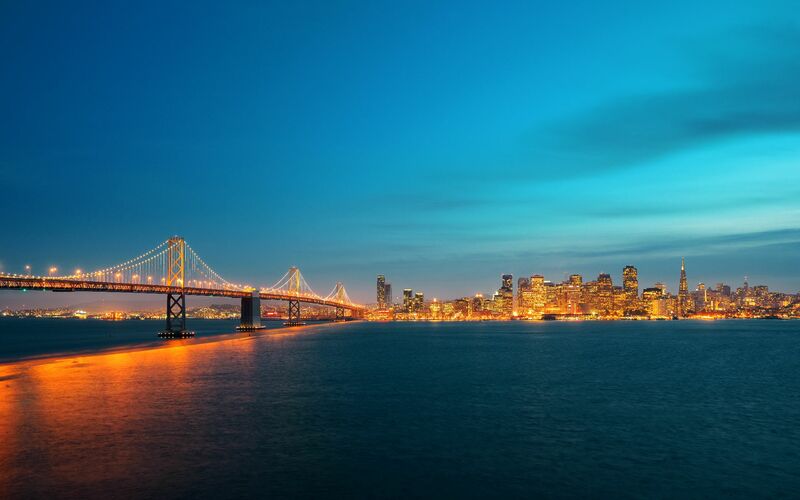 Situated along the picturesque Napa riverfront, this historic hotel is within walking distance to a variety of specialty shops, restaurants, and amazing wineries. Each room features a different decorative theme that blends the charms of days past with luxurious modern amenities. For an extra fee, dogs and cats can stay at Napa River Inn. In fact, this hotel goes the extra mile for the fluffy guests, offering pet spa amenities and qualified pet sitters through its VIP Pet Program. 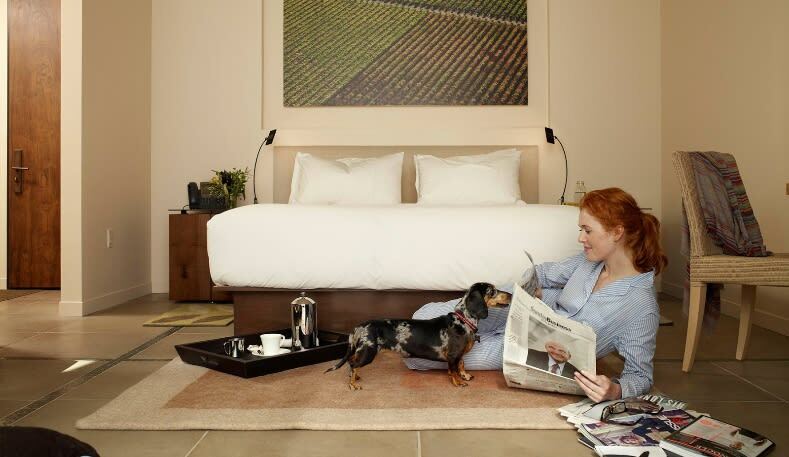 Whether you choose to stay in one of the private luxury cottages or a spacious suite, you and your dog will surely enjoy your time at Carneros Resort & Spa. The expansive property features three wonderful restaurants, a full-service spa, and an upscale general store. Each dog guest receives a comfortable bed, locally made treats, a toy, and a leash. Guests can also make use of a selection of pet trailers for use with the resort’s complimentary bicycles. Pet sitting and dog walking services are also available. 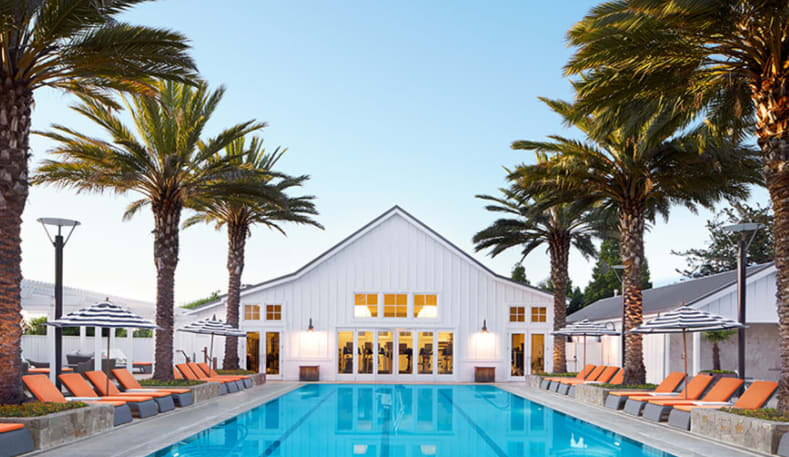 The Beazley House claims to be the first dog-friendly hotel in Napa Valley and offers a ton of wonderful amenities for their pet guests. Rooms in the inn’s carriage house are perfectly suited to pet owners because they open directly into the garden area. 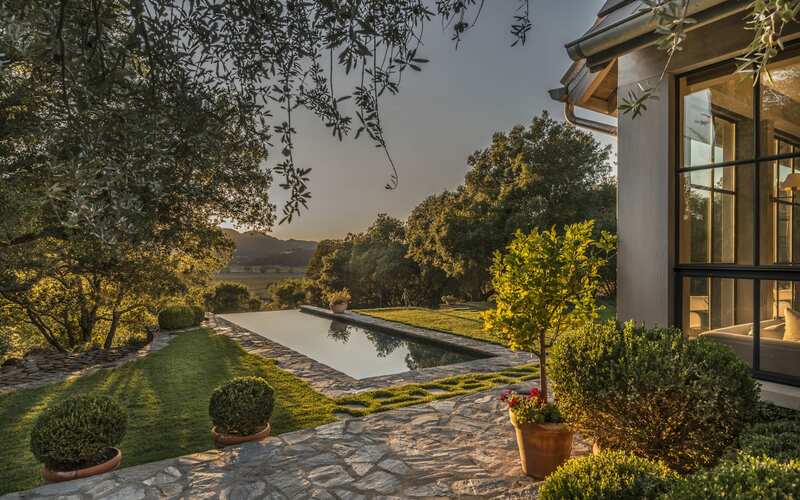 The quaint bed and breakfast sits on a gorgeous parcel of land that is perfect for your dog to roam, but is still just short two-block stroll to Napa’s bustling West End. The staff at Bardessono go out of their way to make your pet feel comfortable during their stay. Pet guests at this luxury hotel get their own comfortable pet bed and a selection of delicious treats. Furry friends are even invited to join their owners at the hotel bar every first Tuesday of the month for happy hour. This contemporary hotel offers a variety of amenities, including an award-winning spa, a farm-to-table restaurant, and a luxurious rooftop pool. 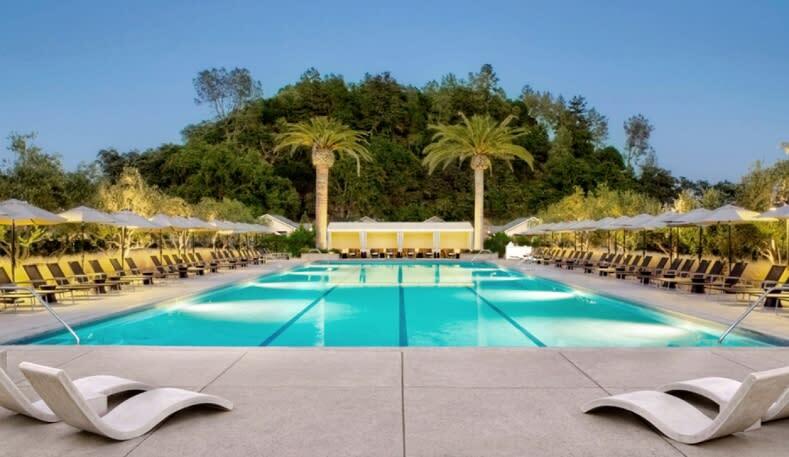 Both you and your dog can enjoy a relaxing getaway at Solage in Calistoga. 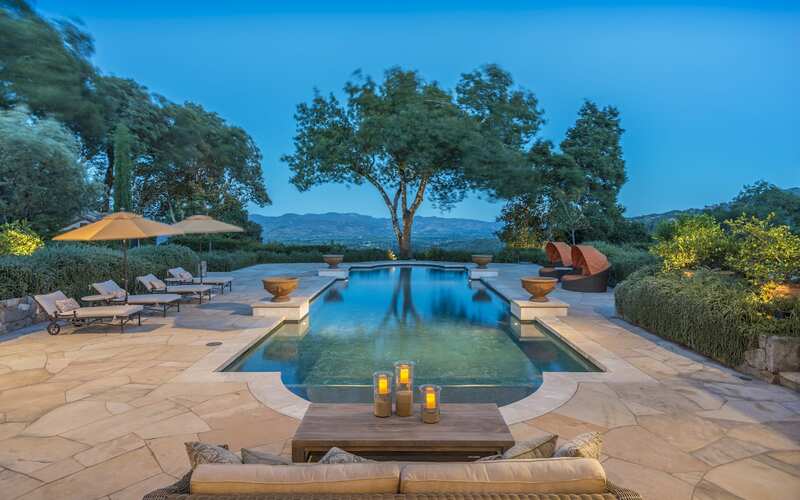 For its guests, the five-star resort offers a full range of luxury spa services, a wonderful restaurant, and breathtaking views of the surrounding wine country. Pet guests can enjoy specially designed beds and delicious treats. The hotel provides food and water for their four-legged guests, so you won’t have to worry about a thing on your trip.